Does your place look like this? 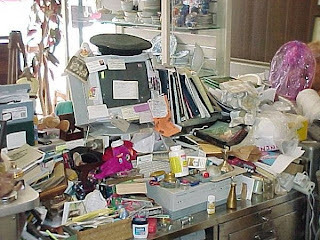 Ok, mine doesn't look this bad either... but I do think it's time to do a little organizational clean up around Casa Kotori. I don't know about you, but I always do better on these tasks when I do them with a friend... someone to spur you on and encourage you a bit. Someone to tell you to walk away from that hideous sweater you've been holding on to since the 8th grade for God knows what reason. So why don't we do this together? Each Wednesday for the next few weeks I'll be posting about Clean Out projects around my house. I'd love for you to do it too. If you have a blog you can post about it and we'll have a little linking party. 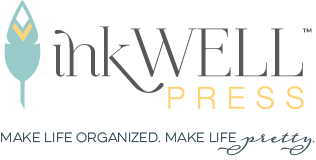 If you don't have a blog, that's ok too... just use this a little motivation to get yourself organized! Feel free to send me some photos and I might post them here on my blog. Leave me a comment or drop me an email and let me know if you're in... I'll do a list with links on my sidebar if we have enough participants!